Versions of the Kyrgyz epos Manas have been collected and studied for over a hundred and sixty years. Reasons for this research have varied. Foreign scholars collected the first variants of stories connected to the legendary hero Manas and his descendents for linguistic purposes in the mid-nineteenth century. As a Tsarist expedition made the first sound recording of a performance, connoisseurship of written variants appeared with an emerging class of Kyrgyz literati. Nationalistic interests of these local intellectuals, and the Soviet focus on folklore, coincided with the aim to produce a complete narrative. Postwar political concerns led to the publication of a harmonized epic, with features deemed problematic removed. Throughout these periods, the extinction of the living oral tradition has frequently been predicted. 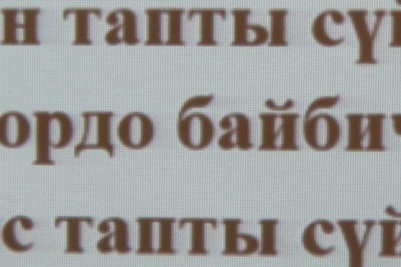 In post-Soviet Kyrgyzstan (1991-), the resurgence of oral performances has been met with the frequent claim that ‘true manaschis’ (chïnïgï Manaschïlar), performers of the Manas epos capable of the traditional oral improvising, have been replaced by ‘manaschis by the book’ (jattama Manaschïlar­), those who merely memorize a printed version. Wishing to examine this issue, in Fall 2017 a group of researchers connected to the American University of Central Asia (AUCA) in Bishkek, Kyrgyzstan, responded to my initiative to collect and study new variants of the Manas epos.